Yesterday there were 5 Redstart chicks in the nest; today there were only 2 or maybe 3 and a body on the floor. Who's been preying on them? The nest is high up and looks too small for a cuckoo to get into. Could it be a climbing weasel? Or another bird? 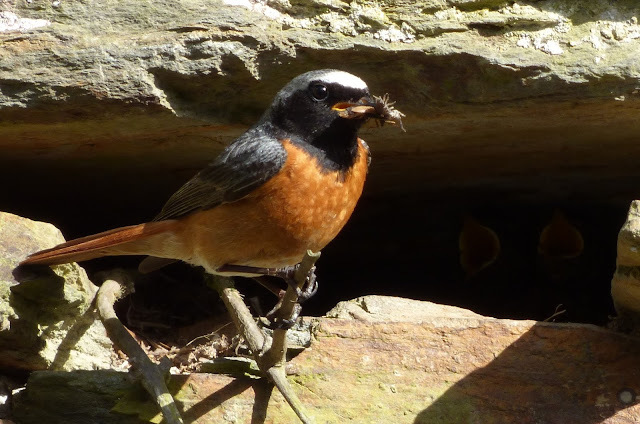 Daddy Redstart continues to feed the survivors.